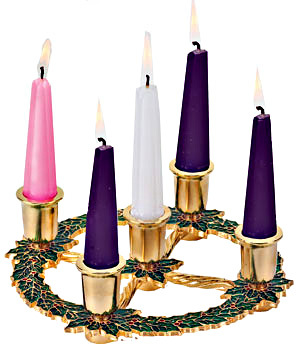 Every Sunday 12/2-12/23--Advent candle reading. Special music. Monday Dec. 24--Christmas Eve service. 7:00 p.m.
Make your way through the Advent season with Busted Halo's Advent Surprise Calendar. 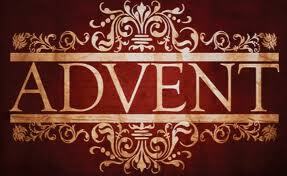 Advent is a precious time in the Christian calendar. The four weeks leading up to December 25 are meant to be a period of expectant waiting, as we prepare ourselves for the miraculous arrival of our Savior, in the form of a vulnerable infant born to humble parents. The reality for most of us, though, is that these are anxious weeks of shopping and holiday planning leading up to a hectic Christmas Day. In the bustle of the holiday season, it’s easy to forget what we’re waiting for. 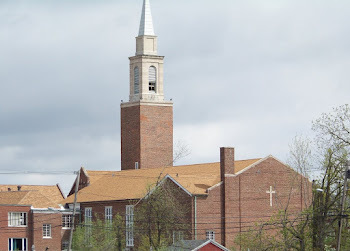 Completely avoiding the Christmas onslaught may be impossible, but we can make an effort to maintain some connection to the spiritual foundation of this season. The 2012 Advent Surprise Calendar is here to help a little with that. In traditional Advent calendars, children open different windows throughout the season to reveal special surprises. Busted Halo’s Advent calendar brings its sense of surprise by showing you the whole calendar, but not letting you open each day and find out what’s behind the picture until that day comes along. This year, we turn our attention to matters of patience — hoping each day’s Daily Jolt and MicroChallenge will help all of us come through Advent with our serenity intact. Each day, that day’s link in the Advent calendar will start working, leading to a special Advent-themed Daily Jolt, with an opportunity for reflection and a microChallenge. Some of the reflections come from unlikely sources, and the challenges help you to take an action, usually a small one, based on the reflection. This year we will give away a weekly prize based on a random drawing among all the contestants who entered that week. Contestants will also be entered into the grand prize drawing for an iPad mini! Entries must be accompanied by both email and snail mail addresses. (Don’t worry, this info won’t be given out to anyone; it just makes it easier to track contestants and winners.) The 16GB iPad mini Grand Prize will be awarded after December 25 in a random drawing from all eligible entries received during Advent. See the contest rules here. As you await the coming of our Lord on Christmas Day, use the Busted Halo Advent calendar each day to remind yourself of what this season is really about.